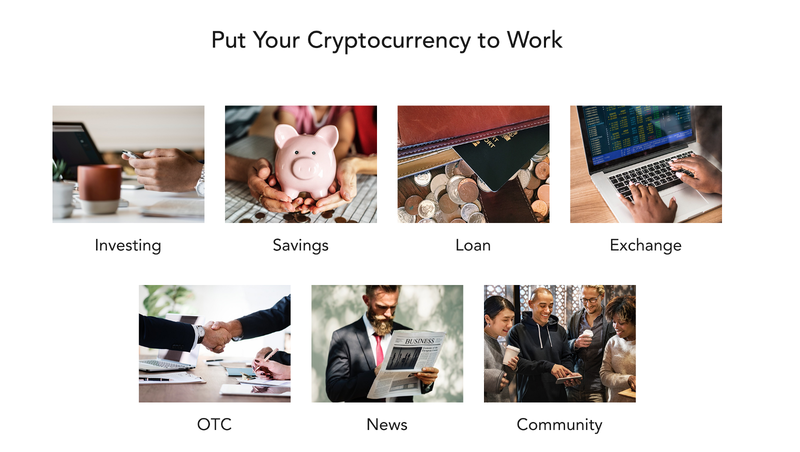 For now, Coinchase is a Community-based Cryptocurrency Financial Services Network. 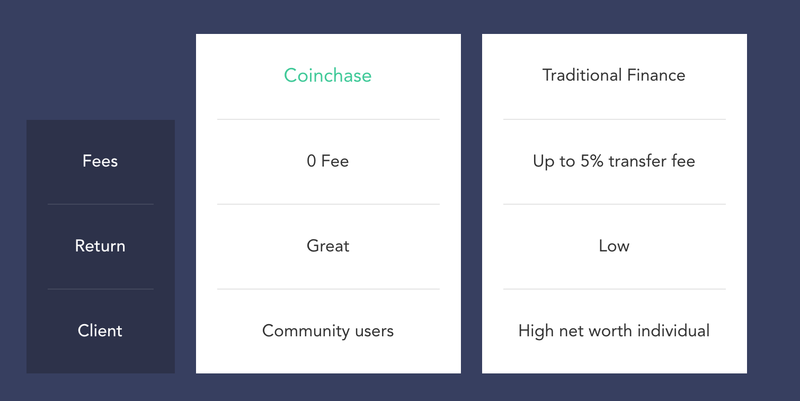 Investing: Coinchase selects projects with a higher probability of success through a selective, rigorous and strict due diligence process to provide users investment opportunities. 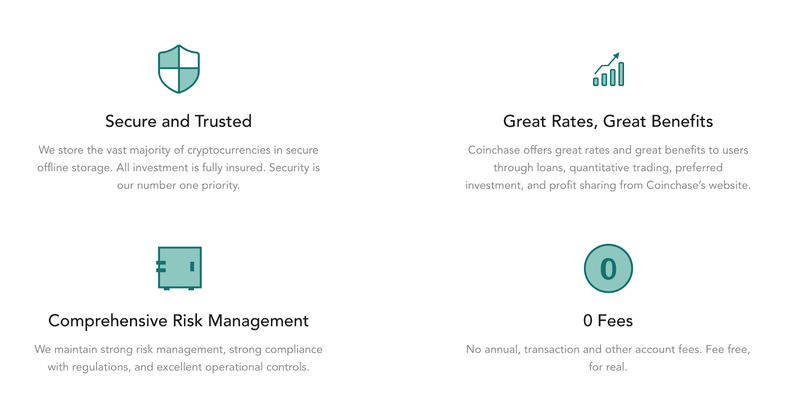 Exchange: Coinchase provides cryptocurrencies trading services.